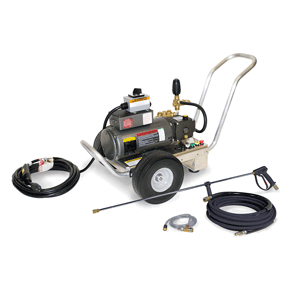 Truckers Supply Company provides commercial-strength cold water pressure washers designed for industrial use. 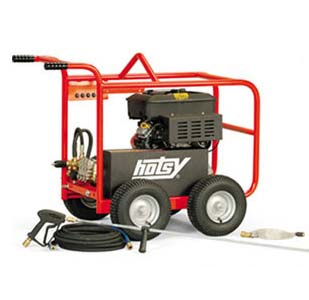 We are a factory-direct dealer for Hotsy cold water pressure washers – the #1 name in high North America for high-pressure cleaning equipment. 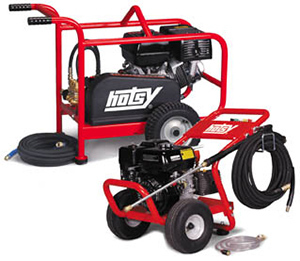 Choosing a Hotsy cold water pressure washer is a smart choice. Sure, we know you could visit the local big box retailer or order a pressure washer online, but there are a few things you should consider. 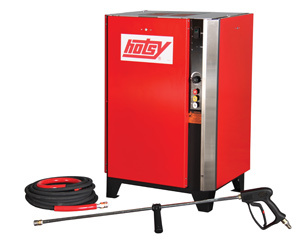 Choosing a Hotsy means you’ll get a superior cleaning product suitable for commercial cleaning. 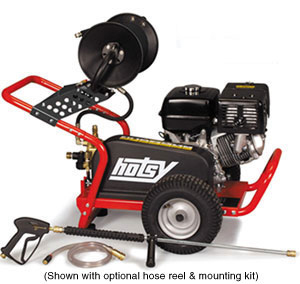 Hotsy pressure washers are manufactured for heavy-duty use, designed for cleaning professionals who will use them often, and in rugged environments. 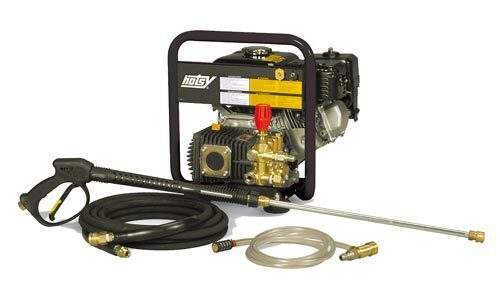 A Hotsy cold water washer is ETL certified for safety and comes with a 7-year warranty on the high-pressure Hotsy pump. 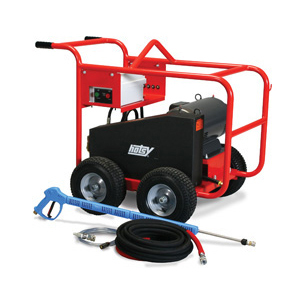 When you choose a Hotsy cold water washer, you begin a relationship with Truckers Supply Company – we have the experience and knowledge you need to help match a power washer to your specific needs. 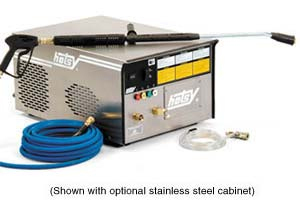 (shown with optional stainless steel cabinet) Stationary models perfect for in-plant cleaning. Electric powered, Belt-Drive, available in a number of electrical configurations. 2.75 to 5.93 GPM @ 1000 to 3000 PSI. The BDE has an all-steel frame and cage, and is available in 2-wheel or 4-wheel versions. 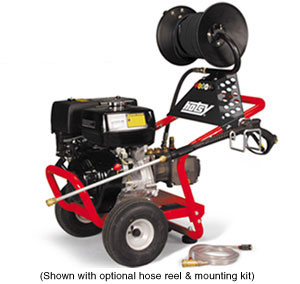 Other features include a belt drive pump, 1750 RPM Motor, 13” tubed pneumatic wheels. 5.0 GPM @ 5000 PSI. 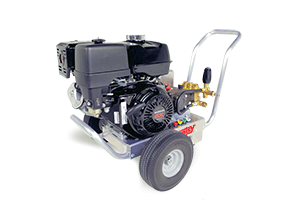 Electric powered with Direct-Drive pump. 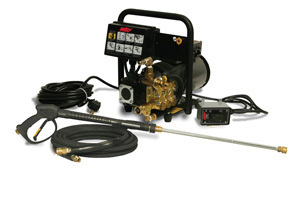 The ET series accepts incoming hot water up to 175°. Hand held model – very compact. 1.8 GPM @ 1400 PSI.